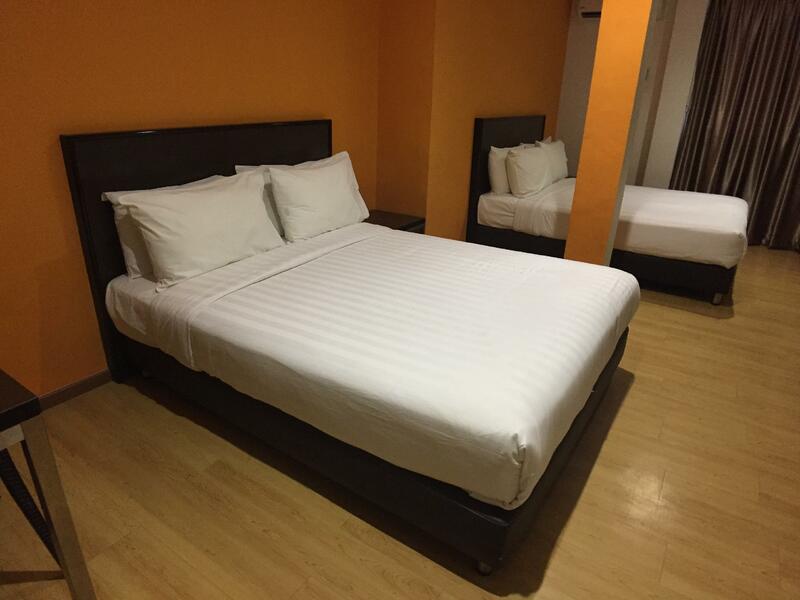 "Spacious and clean rooms, staff are helpful." Have a question for Padungan Hotel? "Great location - tons of awesome restaurants right at the doorstep." 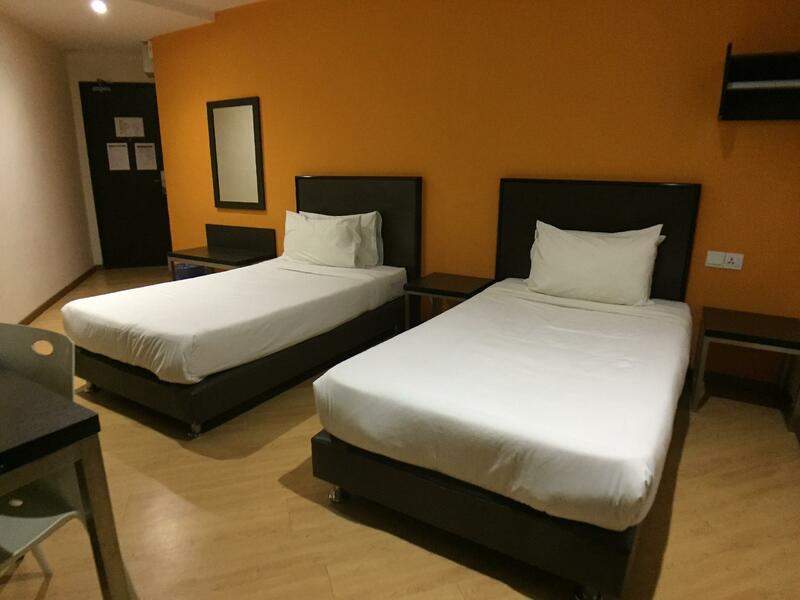 "The room is very big and spacious, staffs are friendly." "The room is clean, comfortable and affordable." 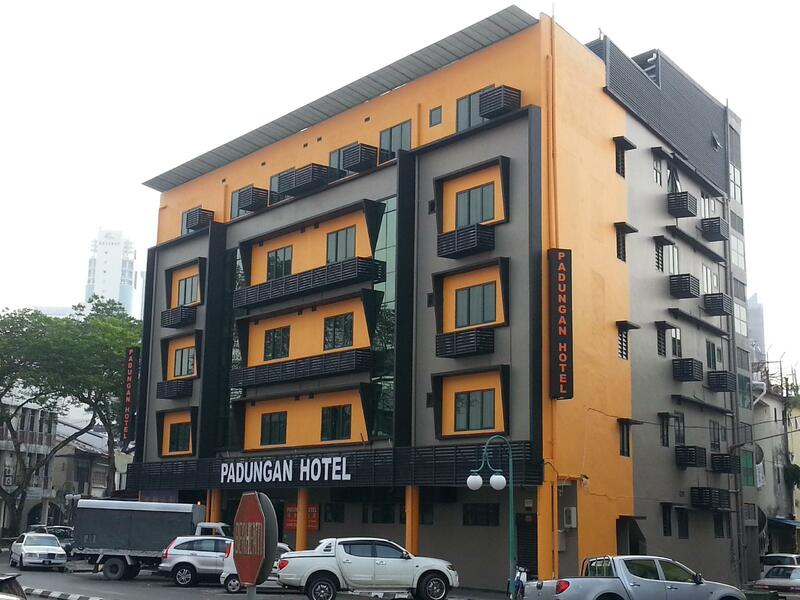 For travelers who want to take in the sights and sounds of Kuching, Padungan Hotel is the perfect choice. From here, guests can enjoy easy access to all that the lively city has to offer. With its convenient location, the hotel offers easy access to the city's must-see destinations. The facilities and services provided by Padungan Hotel ensure a pleasant stay for guests. Top features of the hotel include free Wi-Fi in all rooms, daily housekeeping, 24-hour front desk, facilities for disabled guests, luggage storage. Hotel accommodations have been carefully appointed to the highest degree of comfort and convenience. 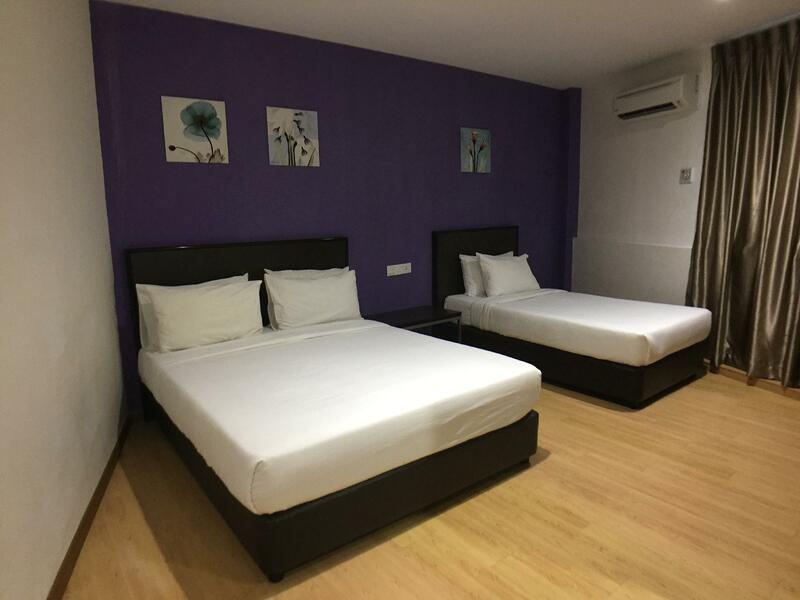 In some of the rooms, guests can find television LCD/plasma screen, internet access – wireless, non smoking rooms, air conditioning, desk. Besides, the hotel's host of recreational offerings ensures you have plenty to do during your stay. With an ideal location and facilities to match, Padungan Hotel hits the spot in many ways. "Overall good hotel and room." From September 1st, 2017, as per Government of Malaysia requirements, hotel guests who are not Malaysian citizens or long-term/permanent residents of Malaysia will be levied a tourism tax of RM 10.00 per room per night stay. Please note these changes in tax structure will result in revised taxes being charged and will be payable additionally during check out. New hotel & new facilities. The bed is so comfortable. Pillow, pillow case, bed sheet & blanket is so much clean & very new. No bad smell as it was the non smoking room. The staff is so friendly. They offered me umbrella for me & my 7 months old baby during our checked out time because it was raining outside. So recommended. Will looking for this hotel again in future. Hotel is smacked right in the centre of the local food. It's walking distance to Carpenter street and is easily accessible by Grab to all major attractions and malls. Please bring own toiletries. Bottled water supplied everyday but no coffee/tea sachets. We glad that you enjoyed your stay with us here at Padungan Hotel Kuching. Sorry that our hotel didn't have coffee & tea ready in room. We look forward to welcome you again. Thank you. Spacious room and bed. Generally clean and tidy but the bed has some stains with it but my friend and i are fine with it. Location is pretty good, downstairs there are convenient shops and eateries but do be mindful that they closes early around 8pm. A walkable distance of 10mins to the town but if you are lazy you can just grab to town. The hotel allows free deposit of baggage after checkout, all you need to do is to let the counter staff know. Hi Khoo. We glad that you enjoyed your stay with us here at Padungan Hotel Kuching. We will improve our cleanliness in the room. We look forward to welcome you again. Thank you. It is situated where you can find food at your convenience. It can be quite noisy at night because it is by the roadside but it is manageable if you are able to secure the high floors. For the room, it is spacious and value for money. It is alright for a night's stay. Thank you for your wonderful review. We will take note of your comment and will improve our service. Hope to see you again next time. The location was great - so many amazing cafes and restaurants close by and it was only a 15 minute walk to the waterfront. 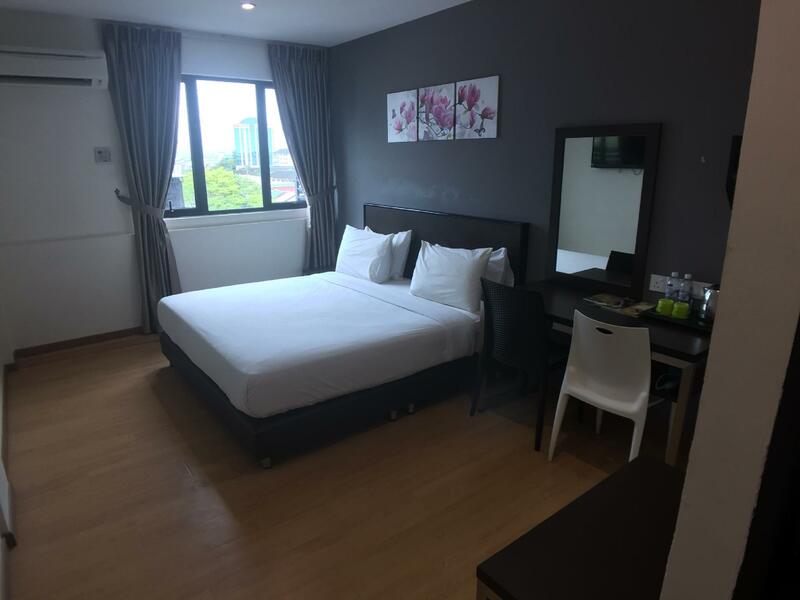 The staff are super friendly and helpful, and the room was clean, bright and had great aircon. Internet was a bit slow, but all in all a great hotel for the money. Shower pressure low. Shower head not function well. Towels not uniforned. Window gaps along the sides. Which can hear motors passing by and can hear people talk in the street. Other than those its a comfortable room with solid bed. overall good hotel and room. but there is no refrigerator. Hi Mr Tomazs, thank you for your wonderful review, we hope to see you again at Padungan Hotel. Locate in town center and easily access by grabcar. Hi Thion. We glad that you enjoyed your stay with us here at Padungan Hotel Kuching. We look forward to welcome you again. Thank you. No worries for food. surrounded with food and no worries. Hi Jevan. We glad that you enjoyed your stay with us here at Padungan Hotel Kuching. We look forward to welcome you again. Thank you. Near restaurants, laundry, cat statue. Hi Mohd. We glad that you enjoyed your stay with us here at Padungan Hotel Kuching. We look forward to welcome you again. Thank you. Hi Kim. We glad that you enjoyed your stay with us here at Padungan Hotel Kuching. We look forward to welcome you again. Thank you. Love the location. Hotel is clean and staffs are friendly and helpful. Would come here again. Traveled to Kuching 4 times in 2018, all stay in this hotel. Clean and friendly staffs. Things can be improve - provide save box and small refrigerator , a lot of customer need it. Good and comfortable stay. Maybe Hotel mgmt need to show some improvement by replacing their plastic drinking cup with ceramic tea cup for hot drinks. Hi Wang, thank you fro your reviewed and suggestion. We will change the cup soon. Spacious room....near by muslim eatery. Good service from the staff. Thanks to Amanda , Ash & Ibrahim for the god service. Always had a great stay there.